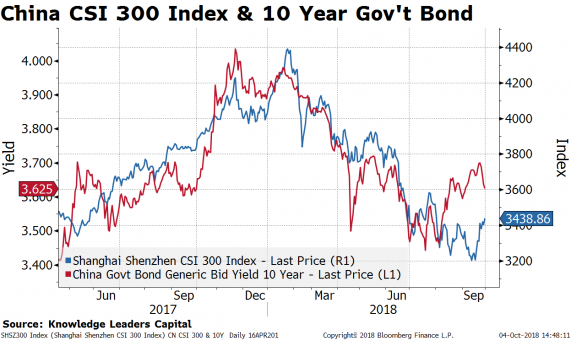 From Steven Vannelli, CFA: The Chinese stock market is closed this week for the Golden Week holiday. 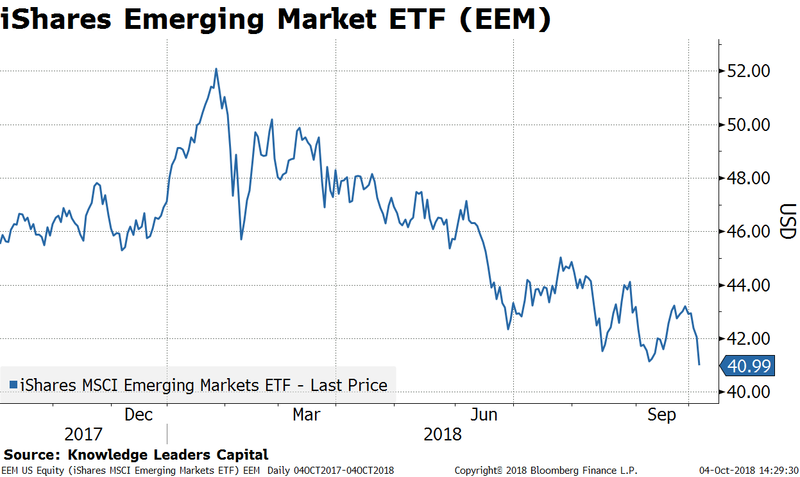 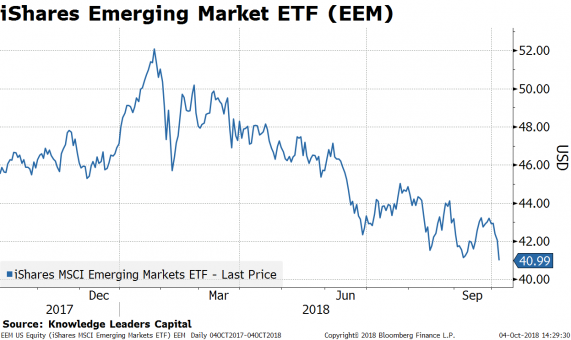 On this side of the Pacific the markets have been busy this week with US Treasury bond yields breaking out and stocks selling off–especially technology–based on the revelation that China implanted devices in technology products shipped to the US. After being closed for five days, there is a lot of potential energy to be released on Monday when Chinese stocks and bonds re-open. 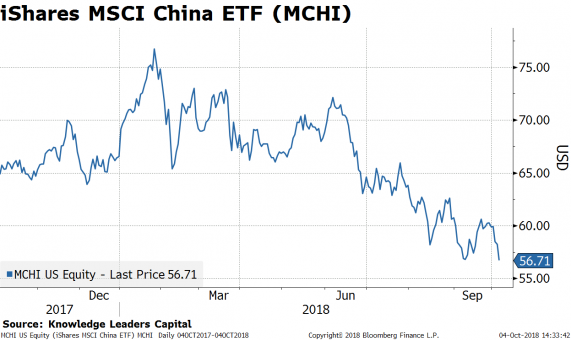 The iShares MSCI China Index Fund (MCHI) was unchanged in premarket trading Friday. 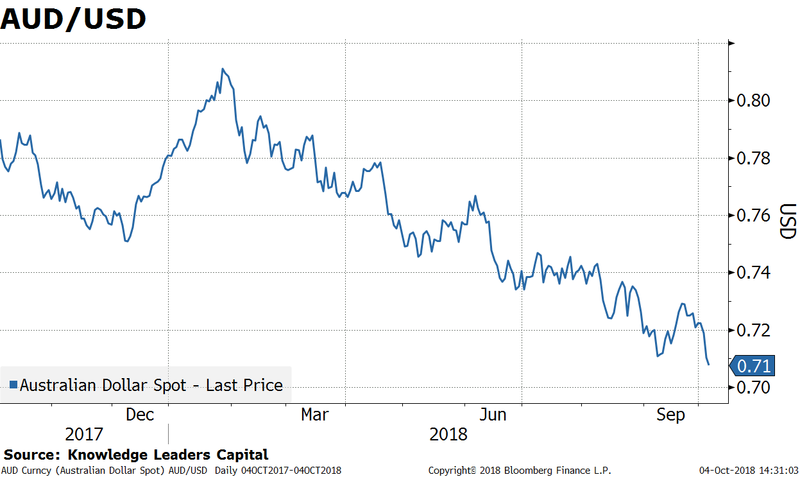 Year-to-date, MCHI has declined -14.77%, versus a 8.90% rise in the benchmark S&P 500 index during the same period. 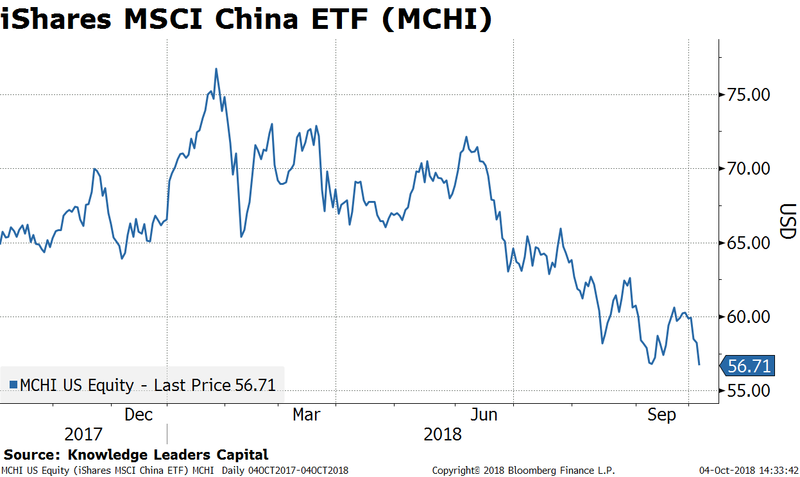 MCHI currently has an ETF Daily News SMART Grade of C (Neutral), and is ranked #9 of 38 ETFs in the China Equities ETFs category.